Konami welcomes you into the ardent and mysterious world of a gypsy fortuneteller in its slot Gypsy Fire. Take a seat in her tent and spin the reels as this enigmatic clairvoyant uses tarot cards, crystal balls, and other magical trinkets to read your future and bring you great riches. The game comes with 5 glowing pink reels, all set atop dark, purple wafts of what seems to be hair flowing in all directions to create an alluring yet dark feminine atmosphere. It features Konami’s trademark Action Stacked Symbols, Mirrors that act as Scatters pay out anywhere on the reels and unlock Free Spins with multipliers, and Crystal Balls as Wild Symbols. Besides the Gypsy Fortuneteller herself, other high-paying symbols include some of the telltale items you’d expect to find such as Tarot Cards, a Jade Ring, and a Book of Spells. Let’s step inside this bizarre world of magic and see what lies in store for us in Gypsy Fire. It’s always best to get down with the basics first. Gypsy Fire is a slot that features a standard interface with 5 reels by 3 rows.We’re also looking at a total of 30 fixed pay lines that pay from left to right. Only the highest win on each line pays out. 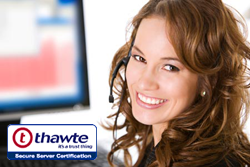 However, wins along different pay lines will be added to the total win pay-out. The RTP is set at a fair 96.06%. Bet settings you can toggle include ‘Bet Per’ which indicates how many coins you’ll be wagering off on every spin. This is multiplied by total number of paylines - 30 - each time. Right next to that button, in the far bottom left of the screen, there’s the ‘Denom’ button. This allows you to set the value of each coin in actual funds. Other basic controls include a ‘Turbo’ feature tucked away in the ‘Menu’. You need to click on the latter to reveal it. There’s also an ‘Auto’ mode. By clicking on it, you can decide how many consecutive auto spins you want, while you unwind and enjoy your favourite drink or a nice cup of coffee, tea, or perhaps, some magical potion brewed by the Gypsy herself! Gypsy Fire doesn’t pack a wealth in terms of bonus features, but what it does, it does well. Besides Mirror Scatter Symbols and Crystal Ball Wilds, the only bonus game is the Free Spins, which comes with a few treats of its own. Starting with the Crystal Ball Wilds, these substitute for all other symbols except for the Mirror Scatters. In other words, while they don’t pay out in combinations of only wilds, they do with all other symbols except Scatters. Also, they can only appear on reels 2, 3, and 4. Moving onto Scatters Symbols, these pay out anywhere on the reels regardless of pay lines. Unlike Crystal Ball Wilds, they can pay out when matching combos of only Scatters are formed. A minimum of 3 will unlock Free Spins, and that’s what we’ll turn to next. If these Multiplier Symbols form part of a winning combination, they will pay out the winning amount multiplied by the digit indicated on the Multiplier Symbol. The amount won will be calculated using the values set for the spin that triggered Free Spins Mode. As already mentioned, Gypsy Fire gives you wins along 30 pay lines (not counting Scatters). Then, the bet settings allow you to configure your stake per spin with a very steep curve in terms of the range of values allowed. You can wager off a minimum of € 0.3 and a whopping maximum of € 1,500. This broad range will most likely appeal to an equally broad range of players, starting from the most casual to the real daring high-rollers. While Gypsy Fire has all the elements in place to reproduce the mystique and allure of a Gypsy fortuneteller, everything is kept basic. There are some minimal animations happening on the reels when you get wins. Everything is set to a deep purple background and the reels are basically pink. The symbols on the reels are also kept very rudimentary. There is no soundtrack playing in the background; there are only clinking and chiming sounds made on the reels as well as a little tune that plays to signal a win. It’s evident that this game cuts all the fluff and delivers a basic game design for players who want just that. 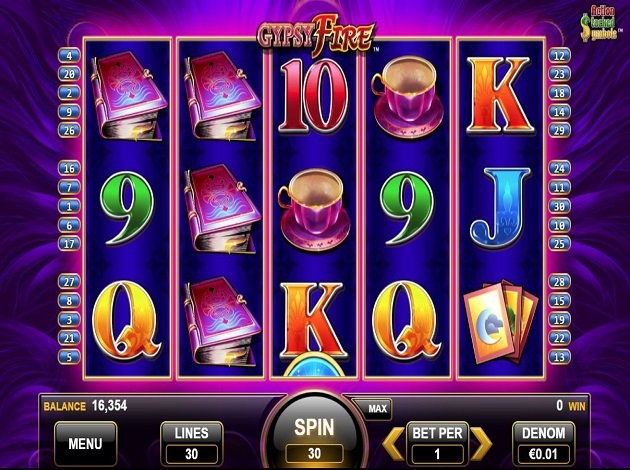 Gypsy Fire may not have much in the way of special features and aesthetics, but it’s free spins mode is designed with an interesting multiplier feature. Also, the range of bet values is huge and it’s evident that this game targets high-rollers mainly without being prohibitive of casual players, and for a high-rollers game, the RTP is not too bad at all. Now that you’re in the know, it’s time to roll those magical reels and let this Gypsy bring you great fortune with Gypsy Fire only at Videoslots.com! The company built a solid reputation thanks to the popularity of its land-based gaming products found in parlours across Japan. Over the years, Konami designed some of the most imaginative and entertaining slot games, which it exported with great success to countries overseas, most notably in North American casinos through its ties with game developers there. Try Konami video slots today, including: China Shores, China Mystery, Jumpin´ Jalapenos och Lotus Land.